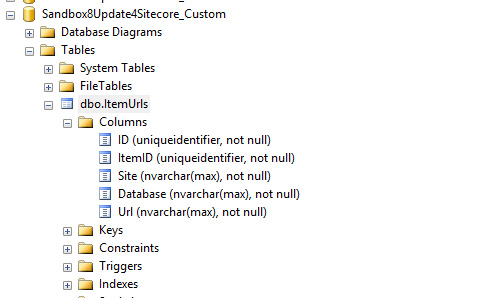 If you have read some of my older posts, you probably know by now how much I love writing code that expands tokens on Items in Sitecore, and decided to build another solution that expands new tokens added to Standard Values Items of Templates — out of the box, these aren’t expanded on preexisting Items that use the Template of the Standard Values Item, and end up making their way in fields on those preexisting Items (for an alternative solution, check out this older post I wrote some time ago). 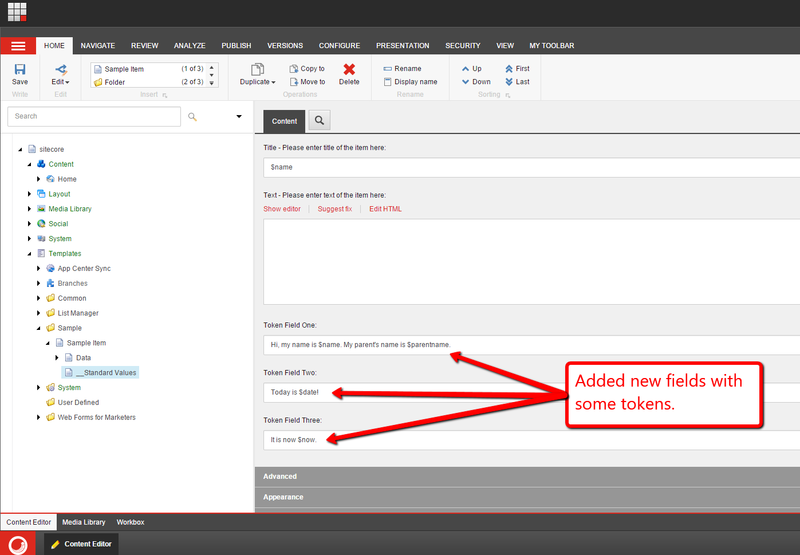 In the following solution — this solution is primarily composed of a custom pipeline — tokens that are added to fields on the Standard Values Item will be expanded on all Items that use the Template of the Standard Values Item after the Standard Values Item is saved in the Sitecore client (I hook into the <saveUI> pipeline for this action on save). The caller of the custom pipeline is required to pass the Standard Values Item that contains the new tokens. One of the processors of the custom pipeline will collect all Items that use its Template — these are stored in the Items collection property. This processor basically just ascertains whether the Item passed as the Standard Values Item is indeed a Standard Values Item — the code just delegates to the static IsStandardValuesHolder() method on Sitecore.Data.StandardValuesManager (this lives in Sitecore.Kernel.dll). 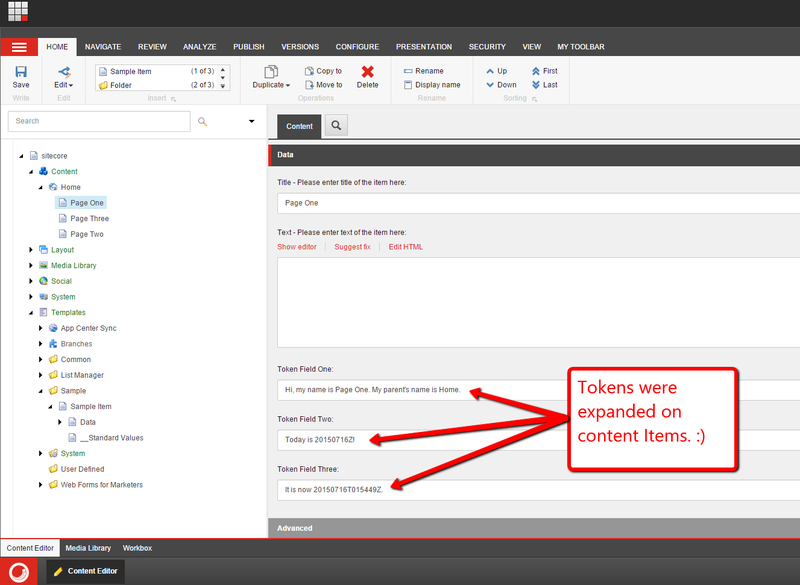 A collection of tokens are injected into the class’ instance via the Sitecore Configuration Factory — see the patch configuration file further down in this post — and determines if tokens exist in any of its fields. If no tokens are found, then the pipeline is aborted. Otherwise, we exit the Process() method immediately. This class uses the Sitecore.ContentSearch API to find all Items that use the Template of the Standard Values Item. If at least one Item is found, we exit the Process() method immediately. Otherwise, we abort the pipeline. The code above uses the instance of Sitecore.Data.MasterVariablesReplacer (subclass or otherwise) — this is defined in your Sitecore configuration at settings/setting[@name=”MasterVariablesReplacer”] — and passes all Items housed in the pipeline argument instance to its ReplaceItem() method — each Item is placed in an editing state before having their tokens expanded. The code above invokes the custom pipeline when the Item being saved is a Standard Values Item — the Standard Values Item is passed to the pipeline via a new ExpandNewTokensOnAllItemsArgs instance. Last February, Sitecore MVP Nick Wesselman shared an awesome blog post on storing data outside of the Sitecore® Experience Platform™ using the NHibernate ORM framework — if you haven’t had a chance to read this, I strongly recommend that you do — which is complete magic, and a simple solution where you don’t have to worry about spinning up your own database tables for storing information. But, let’s suppose you aren’t allowed to use an ORM like NHibernate in your solution for some reason — I won’t go into potential reasons but let’s make pretend there is one — and you have to find a way to store Sitecore specific information but don’t want to go through the trouble of spinning up a new Sitecore database due to the overhead involved. What can you do? Well, you can still store information in a non-Sitecore database using the Sitecore API. The following “proof of concept” does this, and is basically modeled after how Sitecore manages data stored in the IDTable and Links Database. I’m not going to talk much about the SQL table or SQL statements used in this “proof of concept” since it’s beyond the scope of this post. I’m not going to talk about the above interface or class since it just wraps Sitecore.Caching.Cache, and there isn’t much to talk about here. Entries can contain the ID of the Sitecore Item; the specific site we are storing this url for; and the target Database. You’ll notice I’ve implemented the Sitecore.Caching.ICacheable interface. I’ve done this so I can store entries in cache for performance. I’m not going to go much into the details of how this works since there isn’t much to point out. 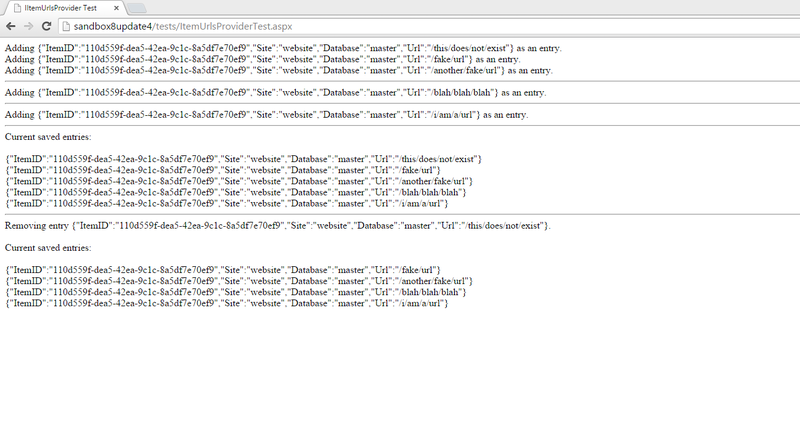 I also override the ToString() method for testing purposes. You’ll see this in action later on when we test this together. IItemUrlsProviders should have the ability to add/remove/retrieve entries. They should also offer the ability to get all entries — I need this for testing later on in this post. Plus, as a “nice to have”, these providers should return a Sitecore Item for a given entry. Such would be useful when retrieving and setting the context Sitecore Item via a custom Item Resolver (you would typically have an <httpRequestBegin> pipeline processor that does this). Sitecore.Data.DataProviders.Sql.SqlDataApi and ICacheProvider instances along with a cache prefix are injected into the class instance’s constructor using the Sitecore Configuration Factory (you’ll get a better idea of how this happens when you have a look at the patch configuration file towards the bottom of this post). These are saved to properties on the class instance so they can be leveraged by the methods on the class. One thing I would like to point out is the Sitecore.Data.DataProviders.Sql.SqlDataApi class is an abstraction — it’s an abstract class that is subclassed by Sitecore.Data.SqlServer.SqlServerDataApi in Sitecore.Kernel.dll. This concrete class does most of the leg work on talking to the SQL Server database, and we just utilize methods on it for adding/deleting/removing entries. The AddEntry() method delegates the database saving operation to the Sitecore.Data.DataProviders.Sql.SqlDataApi instance, and then uses the ICacheProvider instance for storing the entry in cache. The RemoveEntry() method also leverages the Sitecore.Data.DataProviders.Sql.SqlDataApi instance for deleting the entry from the database, and then removes the entry from cache via the ICacheProvider instance. The GetEntry() method does exactly what you think it does. It tries to get the entry first from cache via the ICacheProvider instance and then the database via the Sitecore.Data.DataProviders.Sql.SqlDataApi instance if the entry was not found in cache. If the Item was not in cache but was in the database, the GetEntry() method then saves the entry to cache. The Singleton above basically decorates the IItemUrlsProvider instance defined in Sitecore configuration — see the configuration file below — and delegates method calls to it. The test above adds five entries, and then deletes one. It also outputs what’s in the database after specific operations. Until next time, have a Sitecoredatalicious day!